Hello, my name is Joey Testani and I am senior at Chenango Valley High School. I am a New Visions student who has spent the last four weeks interning with the Agency. In my short time at the Agency, it opened my eyes to the possibilities in Broome County. I have assisted on numerous projects while here and in doing that I have found Broome County has a lot more to offer than meets the eye. 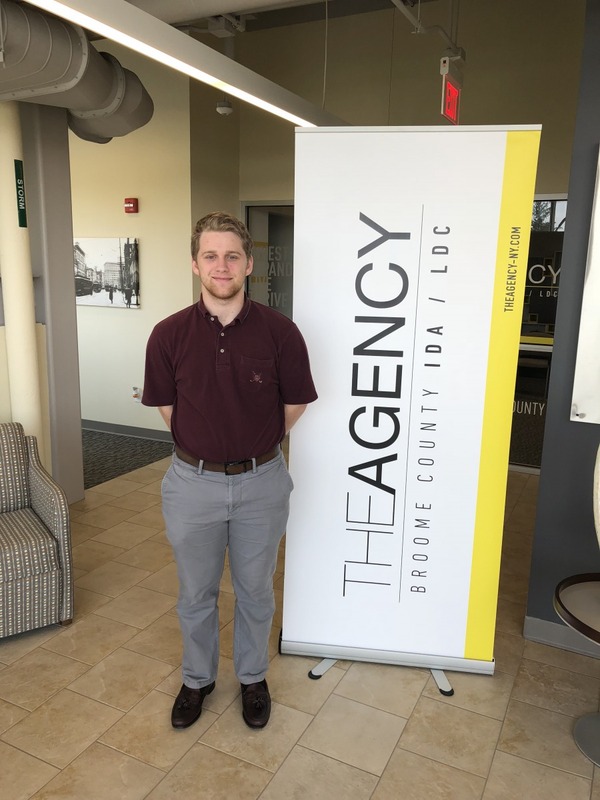 The Agency is a catalyst of economic development in Broome County, they take pride in assisting local business while also aiming to attract outside businesses into the area. The Agency itself is the only IDA/LDC in Broome County. But, outside of their core purpose they have created the Broome is Good campaign. This unique campaign offers the counter argument to what we hear all too often while living here. I believe the Broome is Good campaign is a smart way to show that Broome is a great place to live and there are more opportunities popping up every day. One idea the Agency exemplifies is the fact that we all live here and if we work together we can make our home a great place to live. The Agency works tirelessly each day to provide assistance to businesses whether they are just moving into the area or have been here for years. In my four weeks working with the Agency I have learned a lot about the area that I live in and this newfound knowledge will help me extensively in the future. I now can assure myself that Broome is a great place to work and live, and that no matter how far away I travel I can always come home to Broome in the future for a good life.